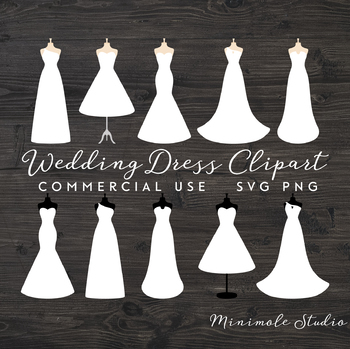 Wedding Dresses digital clip art pack. 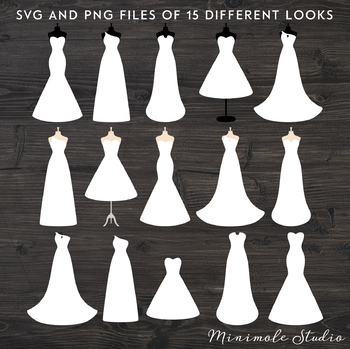 • 30 High Resolution SVG & PNG images with transparent backgrounds, approx 3000px in size. • 5 different dresses in 3 different styles.